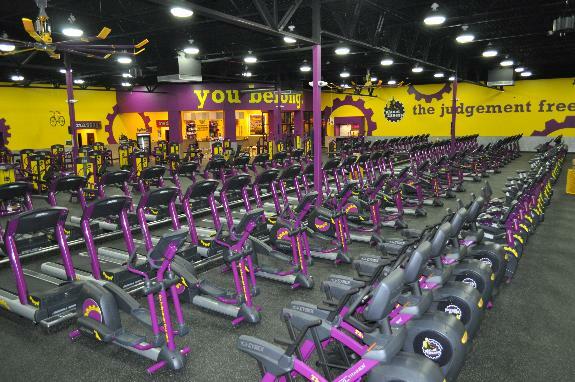 Providing a friendly and hassle-free environment for members is the cornerstone to the Planet Fitness mission. In August 2013, Radianse and Planet Fitness of North Bergen, New Jersey announced their vision to deliver enhanced member services by focusing on member relationships through improvements in operational efficiencies. Radianse has developed solutions that directly deliver enhanced services to improve the customer experience while measurably reducing costs. The system provides a proactive approach to club needs by automating the process flow with convenience and accuracy. “When we saw the value of the Radianse Fitness Solution, we knew immediately that it was the right system for us,” said Roger Guevera, District Manager. “We are a member relations centered club. Improving operational efficiency while benefiting our members is the right combination for us.” Radianse has helped Planet Fitness to enhance member services in a multitude of ways, and has now been implemented in over 105 Planet Fitness facilities. The staff at LCAC responded to an incident in January 2015 which included a diversionary fire alarm pull in one building and a concurrent assault in a separate building. 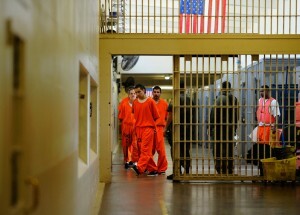 As part of the investigation, the Sheriff’s Department staff looked to the Radianse Corrections Solution to provide details as to which inmates were involved. The Staff at LCAC used one of the metrics reporting functions of the Radianse System and were able to determine which tagged inmates were in the vicinity. They identified three inmates that arrived at the location of the assault within one minute of each other, and who all left the scene at exactly the same time. At the site of the diversion, we were able to determine the identity of the individual who pulled the alarm. This inmate specific data was used to eliminate excessive time and effort for the investigation team by allowing them to focus directly on the inmates that appeared to have suspicious movement patterns leading up to and during the event and that were positively identified as being at that specific location during the assault. The staff at SOMC, a 222-bed hospital in Portsmouth, Ohio in the midst of an expansion, was experiencing difficulty in finding equipment as needed for patient care, inspection, and safety. SOMC implemented the Radianse Healthcare Solution hospital-wide. This included 2,000 tags with room and zone-level coverage to evaluate patient tracking, staff tracking, and patient flow applications. With Radianse technology in action, the staff is enjoying easier equipment management, improved recall management, better utilization of a limited supply of critical devices, and streamlined Joint Commission on Accreditation of Healthcare Organizations (JCAHO) compliance. “Already we can see that real time asset tracking is going to save a lot of time. There are a lot of reasons to need to find equipment. We had to dedicate staff for an hour or two to hunt for recalled devices and do preventive maintenance. Now they can walk over to the computer. What once took hours takes seconds,” said Greg Malone, Supervisor.